A Roth IRA account is an individual way of saving for retirement taking its name from a famous late Senator W Roth who took major part in establishing it in 1997 with A Tax Payer Relief Act. A Roth IRA account is an effective way of alternative saving for retirement apart from traditional employer offered 401K plans. Simple IRA accounts standing for “simple incentive match plan for employees” are great alternatives for smaller companies who can not afford major 401K plans to offer their employees retirement saving benefits. Depending on your provider, you can even opt for a self directed Roth IRA plan allowing you to invest in a variety of assets besides traditional mutual funds, stocks and securities. While looking for a Roth IRA provider, pick one that offers no fee Roth IRA since multiple brokerage fees have a tendency to dissolve your potential earnings. 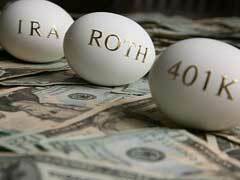 Let’s take a look at actual Roth IRA account benefits and drawbacks. You are not penalized for early withdrawal within a Roth IRA plan after 5 consecutive years since the establishment of this retirement account. However, your withdrawals can not exceed your principal contributions until you reach 59 ½.
Roth IRA accounts mandate strict investment limits per year along with defined maximum income limits. While single earners can not make more than $120,000, married couples’ income can not exceed $177,000 to participate in this type of retirement savings option. Roth IRA account defines an early distribution fee if you decide to withdraw your account earnings and gains before reaching the age of 59 ½. You contributions to Roth IRA accounts are not tax-deductible making this option questionable for high earning individuals. If you are wondering if the Roth IRA account is right for you, talk to your financial planner or use a wide assortment of free online retirement savings calculators. How Is Roth IRA Eligibility Determined?